The Quick Guide is an easy-to-read booklet that outlines the basic rules of the road, components of a bicycle, and all of the information you need to ride a bike safely and confidently. It is available in English, Spanish, Korean, Vietnamese, Russian, & Khmer. Preview the full Quick Guide here. Purchase Quick Guides from the League Store. Click here to learn more about adding your logo to the Quick Guides. 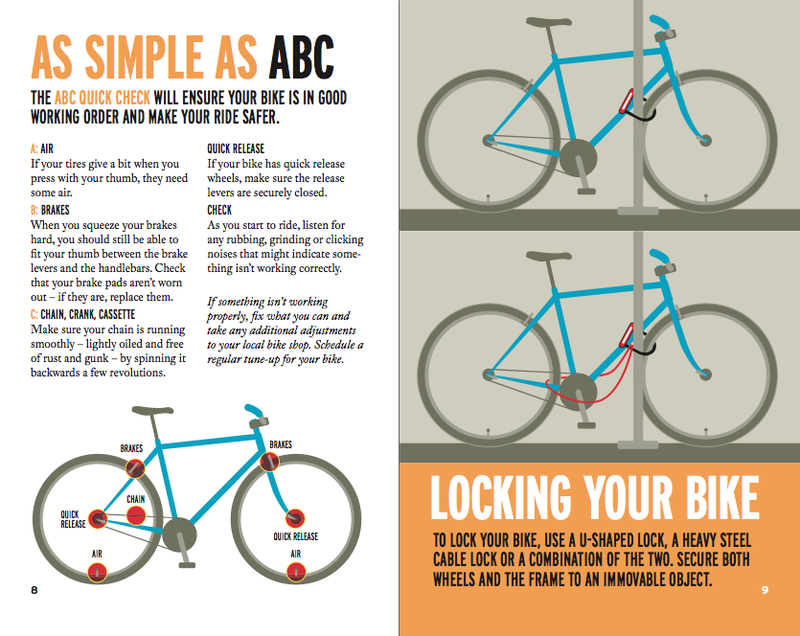 Teach the basic elements of keeping your bicycle ready for safe riding and top tips of bicycle safety with the ABC Quick Check Bookmark. A great small, yet informative, item to hand out at events to encourage safe and responsible riding. Sold in sets of 50. We combined the old Traffic Skills 101, Traffic Skills 201, Group Riding and Commuting curricula into a single document -- eliminating duplication and ensuring greater consistency. There are basic, intermediate and advanced building blocks for the content, and also improved graphics and photos. Purchase the Smart Cycling Manual from the League Store. 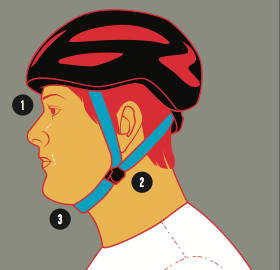 This package includes 39 illustrations that help make sharing bike safety easier. 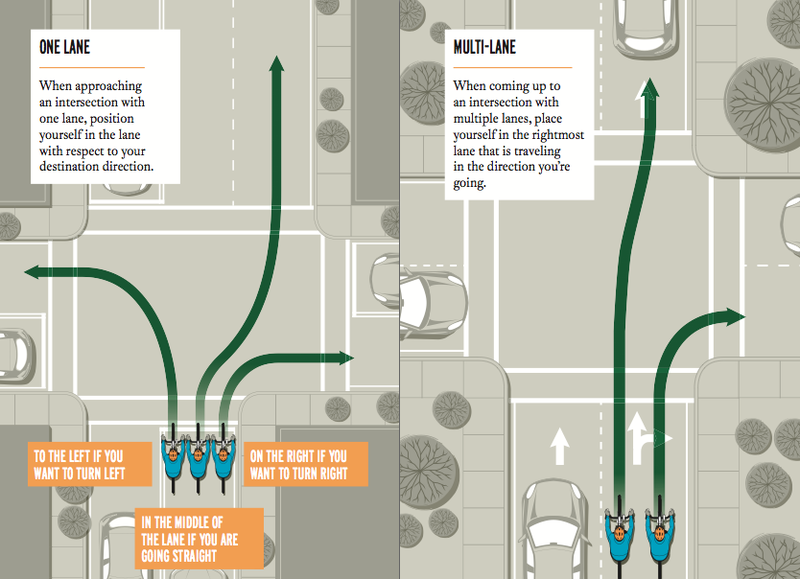 As seen throughout the Quick Guide and Smart Cycling Student Manual, the illustrations cover topics from locking your bike to how to best enter a highway. Purchase the suite of illustrations from the League Store.